UV stabalised for long life, reusable, rot proof and strong. Suitable for protecting fruit, fruit cages, vegetables and ponds. 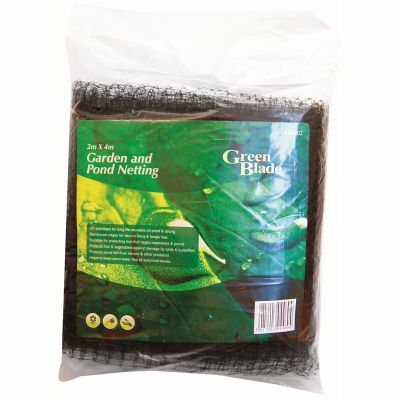 Protects pond fish from herons and other predators. Reinforced edges for secure fixing and tangle free. Protects fruit and vegetables against damage by birds and butterflies. Helps to keep water free of autumnal leaves.